One of the biggest financial concerns divorcing couples often have is whether they will have to pay “alimony” to their spouse, or whether they are eligible to receive it. In Missouri, such spousal support is referred to as “maintenance” and it is based on a variety of factors. Before reviewing said maintenance factors, the Court will first evaluate whether the party seeking maintenance is both (1) lacking sufficient property, including marital property apportioned to him or her, to provide for his or her reasonable needs; and, (2) unable to support himself or herself through appropriate employment or is the custodian of a child whose condition or circumstances make it inappropriate that the parent be required to seek employment outside the home. This is often the case where a stay-at-home mom has put her career on hold to stay home with the children, and continues to care for them on a daily basis forsaking a career outside of the home and thus financial stability. (8) The conduct of the parties during the marriage. It is important to understand that there are no clear cut calculations for maintenance like a Form 14 provides for child support in Missouri family court cases. Rather, a maintenance award is based on many factors and it is crucial that your family law attorney presents the necessary evidence to prove the need or lack of need for a party to receive maintenance. Often a particular judge may be known to support or not support maintenance awards in divorce cases, so it helps to have an attorney familiar with how that judge views maintenance and interpret the likely award in your case. Although a party obligated to pay maintenance can often view said award as a punishment by the court or act of retribution by the receiving spouse, it is a restorative tool to best maintain the standard of living for each party in the divorce and to ensure that each party is as close to being financially secure after the divorce as is reasonable possible. Obviously a divorce can be a large financial hurdle for many couples due to the nature of the property division and attorney fees, along with the need to start supporting two separate homes rather than the one previously shared by the couple. But, the family court judge may try and even the financial playing field for both parties following the dissolution of marriage by granting an award of maintenance. 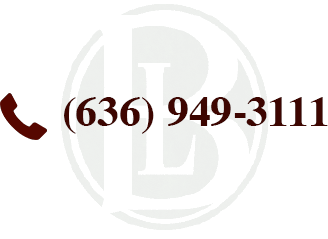 For help with a divorce action in St. Charles County, St. Louis County, Lincoln County, Warren County or Pike County, please contact our office today.